This book draws upon a wide range of archaeological and literary material to provide a history of one of the most distinctive and individualistic regions of France and its people, from prehistoric times to the present. Focusing upon such themes as trade, settlement, agriclture, transport, population, religion, art and languages, the authors explore the characteristics of a society which has combined peoples from two different linguistic and cultural traditions in a long-enduring political union. Patrick Galliou is Reader at the Université de Bretagne Occidentale (Brest) and also teaches at the Université of Haute Bretagne (Rennes). Most of his published work concerns Iron Age and Roman Brittany, and he is currently involved in a major survey of North-Western Gaul. Michael Jones is Professor of Medieval French History at the University of Nottingham. For some years he has been involved in a major multidisciplinary study of Breton seigneurial buildings, and he has also worked on the Romanesque town house of Cluny. He is Editor of Nottingham Medieval Studies and of Volume VI of the New Cambridge Medieval History. List of Figures & Genealogies. 2. The Early Iron Age. 3. The Late Iron Age. 4. Roman Armorica: Aspects of Colonization. 5. Roman Armorica: Society and Politics. 6. After the Romans: Britons, Bretons and Franks. 8. The Origins of the Ducal Brittany. 10. Consolidation and Growth, 1213-1341. 11. The Civil War, 1341-65. 12. Brittany Under the Montfort Dukes, 1365-1491. 13. Breton Society at the End of the Middle Ages. 14. 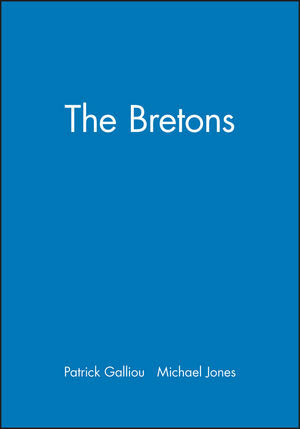 Conclusion: Brittany and the Bretons since 1491. Only book to provide a history of this distinctive region and its people.